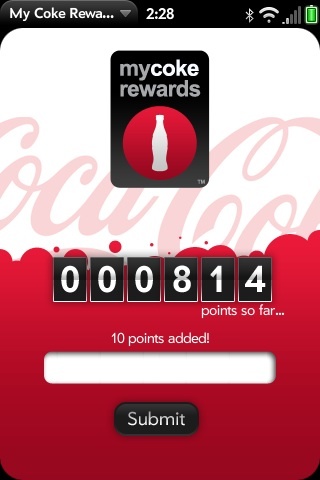 My Coke Rewards from Biocandy Labs is my new favorite webOS app. 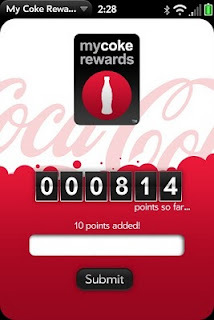 My Coke Rewards is a simple app for your Pre or Pixi that allows you to register your My Coke Rewards codes on the Coca-Cola website. Coca-Cola and Palm addicts need this free app which is available from the Palm App Catalog. Hit the Palm Developer website for more details.